Take exit 240 off of I-44 and turn North. Next, make a left turn between Burger King and Fast Lane Gas Station (Miller Drive). Take a left turn at the four way intersection and proceed to the North West Outer Road. 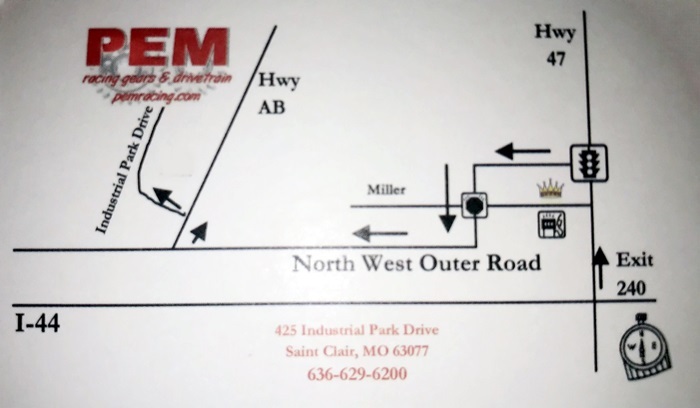 After approximately 1 1/2 miles, take a right turn onto HWY AB, and then an immediate left turn onto Saint Clair Industrial. Follow it back until you reach us. We are on the right hand side, located underneath the twin water towers.